A Question and Answer Session with Marshall B. Rosenberg, Ph.D.
another’s well being more than anything else. So for me, if we’re connected with the Divine in others and ourselves, we are going to enjoy what happens, and that’s the spiritual basis. In this place violence is impossible. A: When you get people connected at that level it’s hard to maintain those “enemy” images. 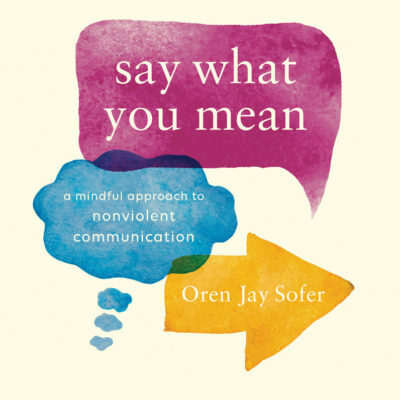 Nonviolent Communication in its purity is the most powerful, quickest way I’ve found to get people to go from life alienated ways of thinking where they want to hurt each other, to enjoying giving to each other. A: This amazes me how few and how little they are. When I first started to teach this process in another language I really doubted that it could be done. I remember the first time I was in Europe I was going to go first to Munich and then to Geneva. My colleague and I both doubted that we could get this through in another language. She was going to do it in French and I would be there for her to ask me questions if something came up. I was going to at least try to see if we could go through translators. But it worked so well without any problems, and I find the same thing everywhere. So I just don’t worry about it, I’ll do it in English and you translate it and it works very well. I can’t think of any culture that we’ve had any problem with other than little things, but not with the essence of it. Not only have we had no problem but also there are repeated variations of people saying that this is essentially what their religion says. It’s old stuff, they know this stuff, and they’re grateful for this manifestation, but it’s nothing new. Do you believe a spiritual practice is important for practicing nonviolence?